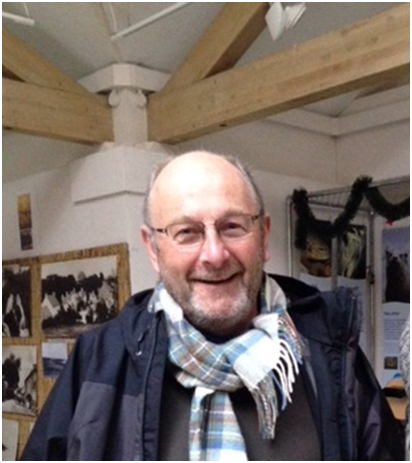 Friends of Richard David ‘Davy’ Rea were shocked and saddened to learn of his death on 30 August 2018, in France, after a long illness. It was an illness he bore with dignity, stoicism and cheerfulness. Davy attended Connor House in the 1950s, transferring in 1959 to the Grammar School, where he played an active part in school life, enjoying chess, debating and the Student Christian Movement (SCM). He had a wonderful sense of humour and his unique ability to get along with everyone made him popular with his classmates. He loved tennis and played football with his many friends in Ballyholme Park. Like many students in the 1960s and 70s, he went with former BGS pupils to work in England during the summer holidays. It was there, when working in King’s Lynn in 1972, that he met his future wife Jean. After successfully completing a pharmacy degree at Queen’s University, Davy worked for Boots in Nottingham. However, it wasn’t long before he realised that for the sake of his family he should establish his own business. He developed a number of pharmacies in Cornwall and created a very successful business. His holidays with the family often involved visits to France. He bought property there and eventually, following his retirement, he and Jean moved there on a permanent basis. Davy will always be remembered as kind, caring and compassionate. He had a highly developed sense of social justice. He had the ability to talk to anyone at their own level, a pleasing personality and a great sense of humour, attributes which won him friends wherever he went. Davy will be sadly missed by those who knew him, especially his family: Jean, Liz, Jim, the grandchildren and brother Billy (also an Old Boy). To all of them we extend our heartfelt condolences.